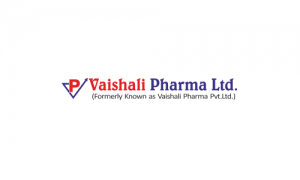 Vaishali Pharma deals in pharmaceutical formulations, APIs, surgical products, veterinary supplements. It operates both in domestic and export markets. In domestic markets, it largely trades into APIs whereas in export markets, it is into trading and marketing of APIs, formulations, surgical products and others. For export markets, it gets the formulations manufactured by third parties whose facilities are approved and certified by the respective countries for developing the respective products. At present, it has applied for 186 registrations in 13 countries for some of its products, out of which it claims to have successfully received 71 approvals from 7 countries and is in process of obtaining remaining approvals, which will give boost to its export business operations. It has obtained ISO 9001:2015 Certification for the Quality Management System from Deutsche Accreditation Board, Germany and ISC Global, Dubai, UAE. It is also certified by European Certification Organisation and Compliance Certificate with regards to Council Directive 93/42/EEC as amended 2007/47/EC relating to Surgical Instruments & Medical Devices Directive. The company has received Credit Rating Certification from NSIC CRISIL for the year 2017-18 as well. The company has also been recognized by Government of India as a ―One Star Export House‖ and holds a valid certificate for the same from the Director General of Foreign Trade. Vaishali Pharma IPO allotment status is now available on Bigshare Services' website. Click on this link to get allotment status. Add me as well to the whattsap group for IPO related discussions. please add my no. 9911182288 in this group.. Thanks..
please add my no . and name in the ipo whatsapp gp.. Please add me on what’s aap group. What is the recommendation over this IPO. Apply or Avoid ? pl.add me in ipo grp. SBI allows adding more than one applications so you can use your father’s net banking to apply in IPOs. All you need are your PAN and DP details.